Made from durable aluminium these brilliant Beldray pans are ideal as a starter set or for refreshing old cookware. 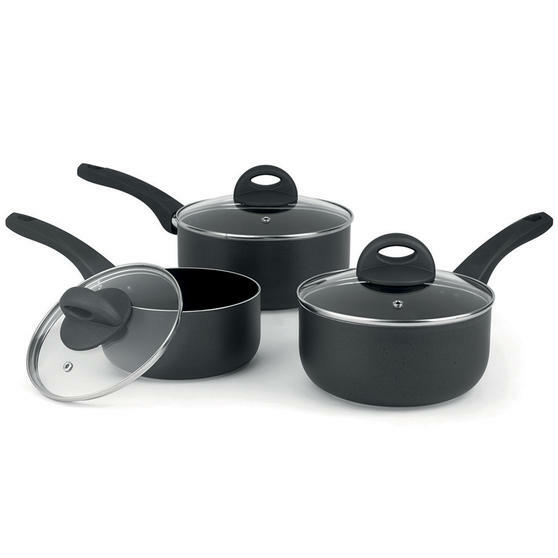 A set of three consisting of 16, 18 and 20 cm saucepans, they each have a matching glass lid with a steam vent for cooking vegetables, rice or pasta. 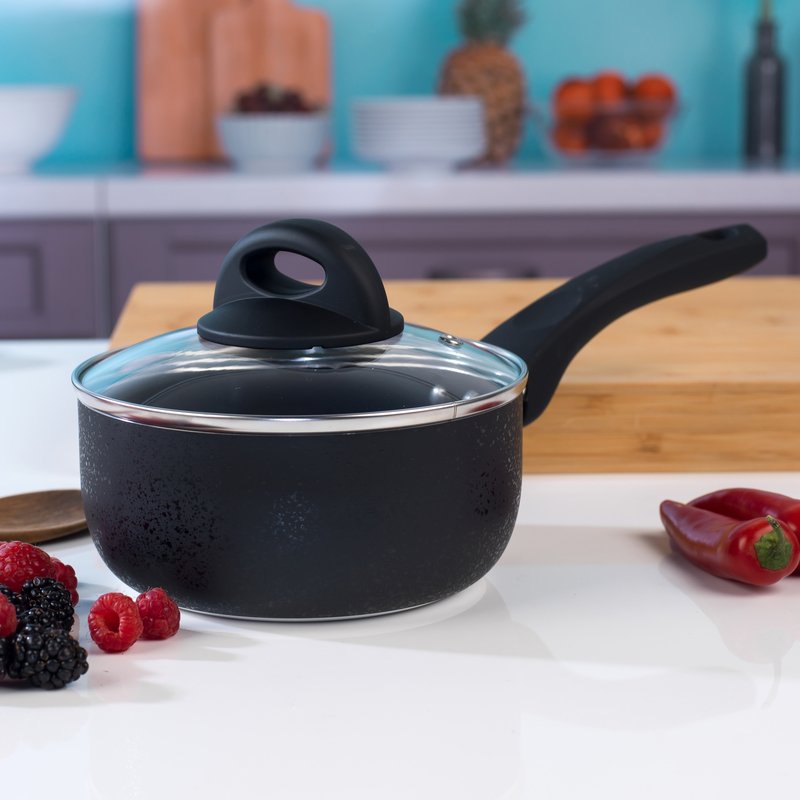 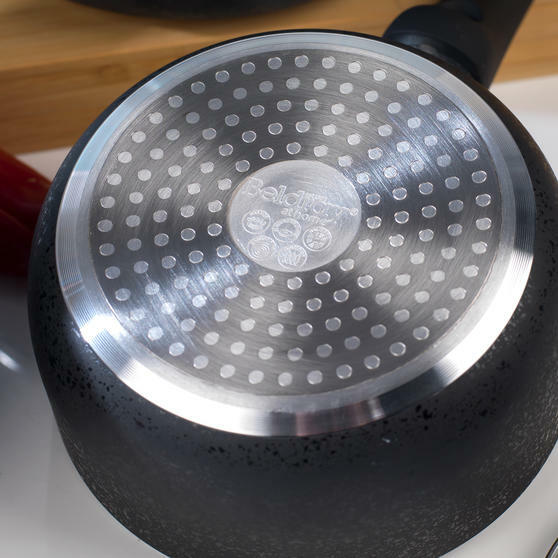 Featuring soft-touch handles to make them comfortable to use and a ceramic coating for easy cleaning, these saucepans combine practicality with style. 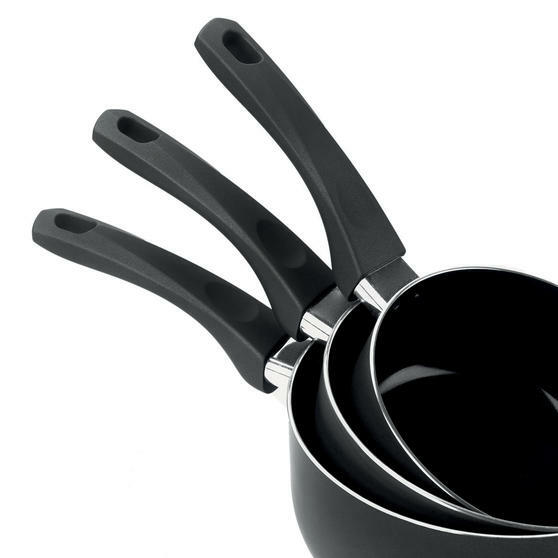 The sleek set has a black exterior and is sure to fit in perfectly in your kitchen. Perfect for any home chef this wonderful Beldray frying pan set has a non-stick ceramic coating to make cooking and cleaning simple. 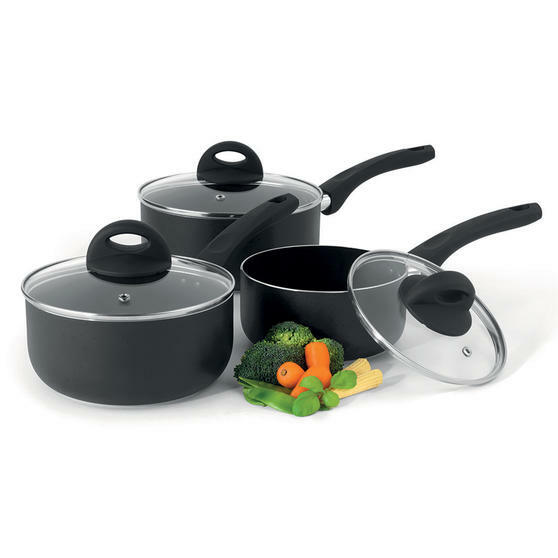 Suitable for all hobs including induction, the saucepans measure 16, 18 and 20 cm so you can cook ingredients simultaneously. Featuring superb soft-touch handles for a comfortable grip these pans are incredibly easy to carry around the kitchen. 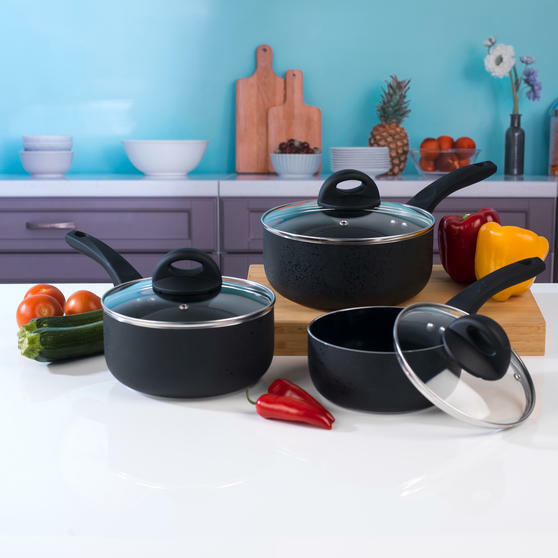 The black pans look sleek and stylish ensuring they will fit in perfectly in any kitchen and are ideal for making rice, pasta and veg. 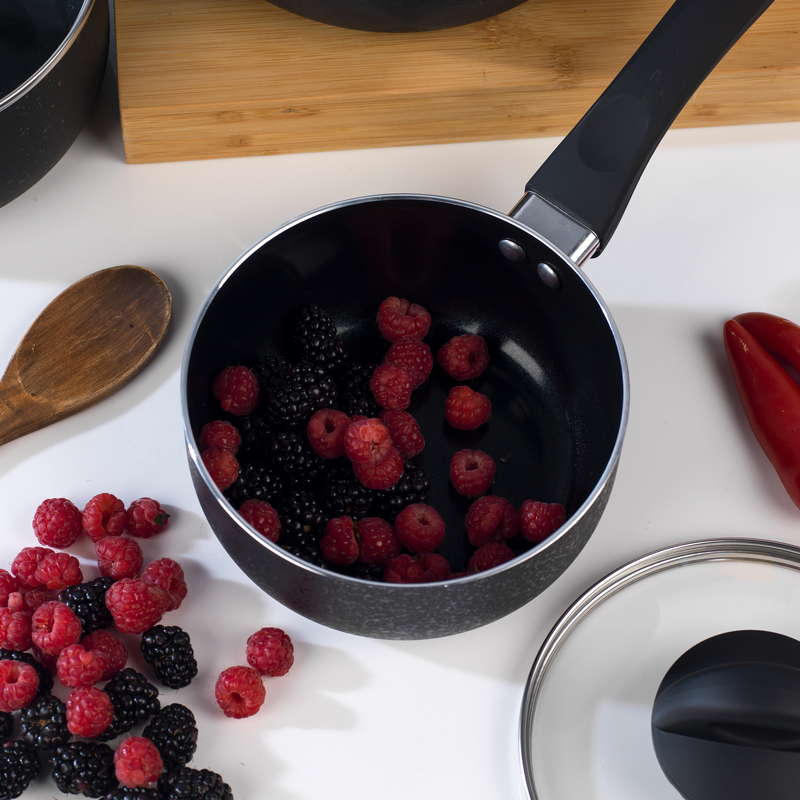 Ideal for everyday use, the non-stick ceramic coated surface of the pans makes them incredibly easy to clean after use.